The market has witnessed significant launches after the coveted Delhi Motor Show, like Honda Mobilio, 2014 Nissan Sunny, 2014 Volkswagen Polo, Mercedes-Benz CLA 45 AMG, 2014 Ford Fiesta, limited edition Maruti Suzuki Ertiga, Renault Duster - second anniversary edition, and not to forget Chevrolet Beat with Manchester United Limited Edition for Beat and Sail U-VA.
With Raksha Bandhan round the corner, August has quite a line-up too. Let us peek into the list for August 2014. 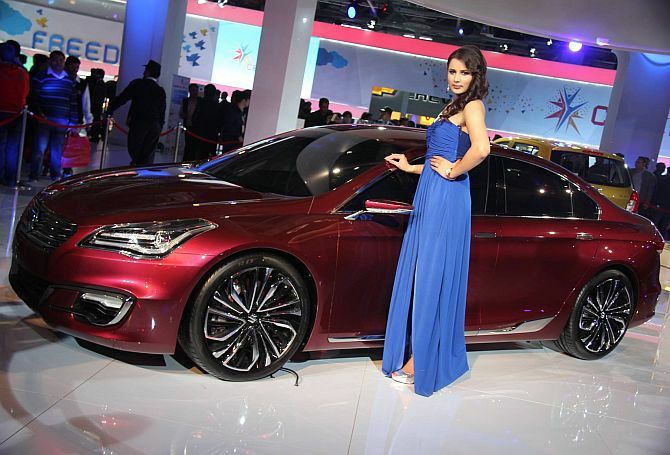 Image: Maruti Ciaz at the Indian Auto Show. 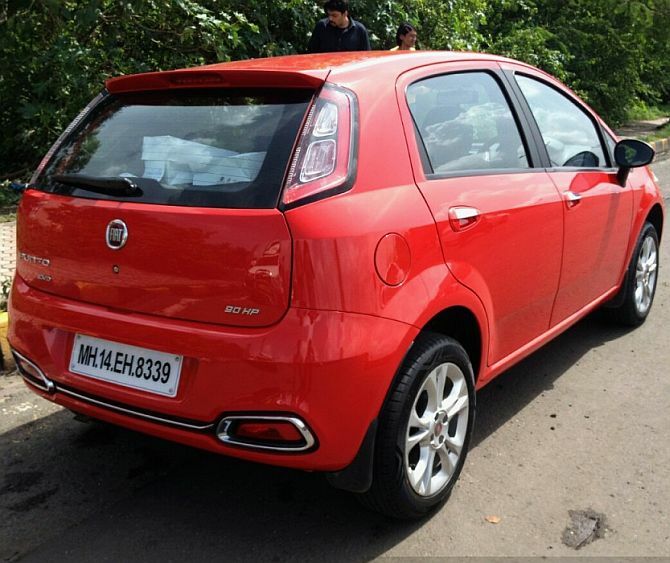 Looking at an upward market trend, Fiat is ready to capture the lost share with its facelift Punto, christened as Punto 'EVO'. Fiat Punto EVO will launch on August 5 in seven exterior colours, Glitterati Gold, Magnesio Grey, Exotica Red, Minimal Grey, Hip Hop Black, Vocal White and Tuscan Wine. Refreshed Punto boasts its aggressive trapezoidal grille extending into swept-back headlights. The tweaked bumper gets a chrome covering for the fog lights. 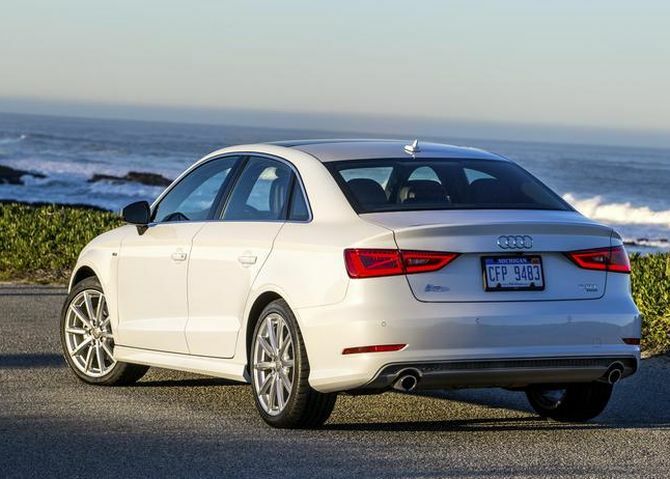 It also gets LED tail-lights and improved alloy wheels. Under the hood, car remains same with the petrol variants energised by 1.2-litre gasoline engine churning out 67bhp while the 1.4-litre motor produces 90bhp. 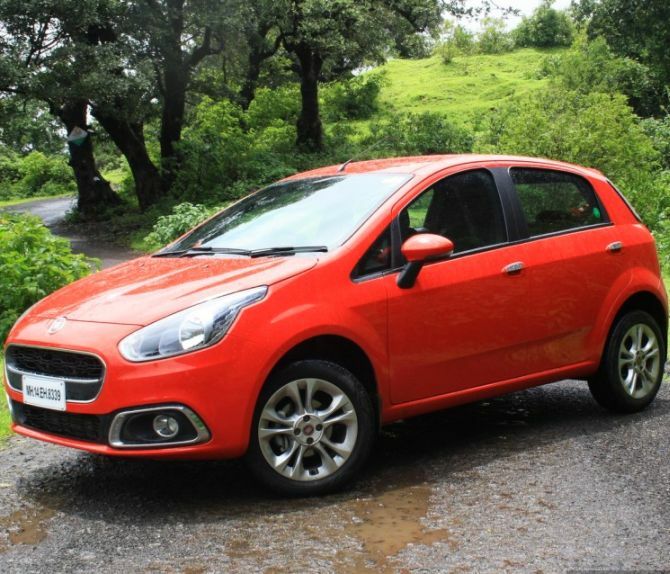 The hatch is also offered with 1.3-litre MJD diesel powerplant in two state of tune developing 75bhp and 92bhp. All engines are mated with a 5-speed manual transmission. 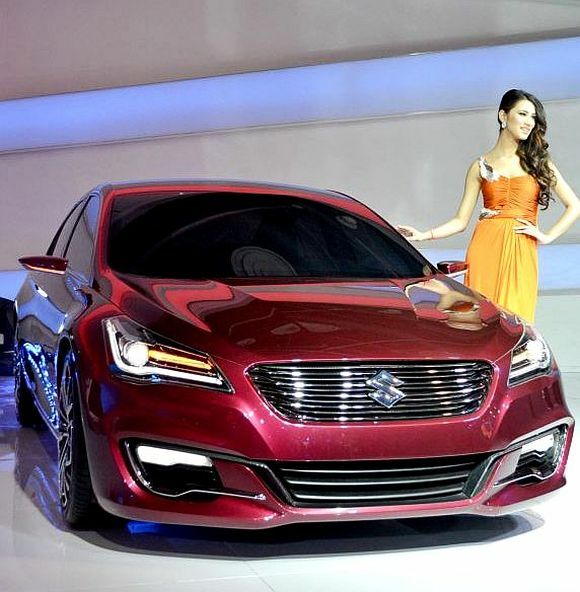 Maruti Suzuki will hopefully launch the SX4 replacement Ciaz in the last week of August or first week of September. Showcased at Delhi Auto Expo, it is expected to include projector headlamps, touchscreen, rear air con, etc. Engine specs are not out yet. The car is expected to carry 1.4 litre K14 VVT petrol engine which powers the Ertiga MPV. This petrol engine develops 93.7bhp of power and 130Nm of peak torque. While in the diesel variant, Ciaz is expected to carry 1.3-litre MJD VGT engine developing a power of 88.8bhp with 200Nm of max torque. 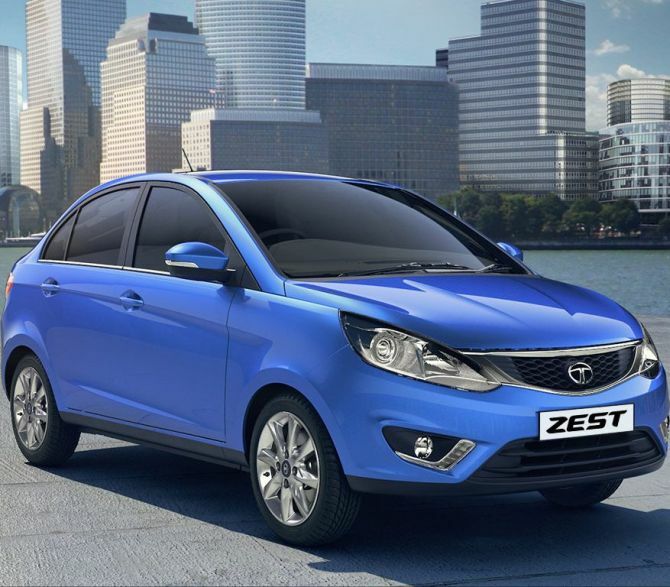 In August, the main focus lies on Tata's next big thing 'Zest'. It's Tata's revival into the compact sedan category. Moreover, bookings have started through the official website of Tata, with an online payment of Rs 21,000. The carmaker wants to launch Zest as-soon-as-possible and even they are revamping the showrooms for it! Tata Zest has been in the news for its look and features but its exact launch date is still under wraps. This time Tata has produced an elegant, yet sporty sedan with beautiful exteriors, improved interior design, new 1.2-litre Revotron turbo petrol engine, better driving dynamics thanks to drive-by-wire, electronic power assist steering, to name a few! 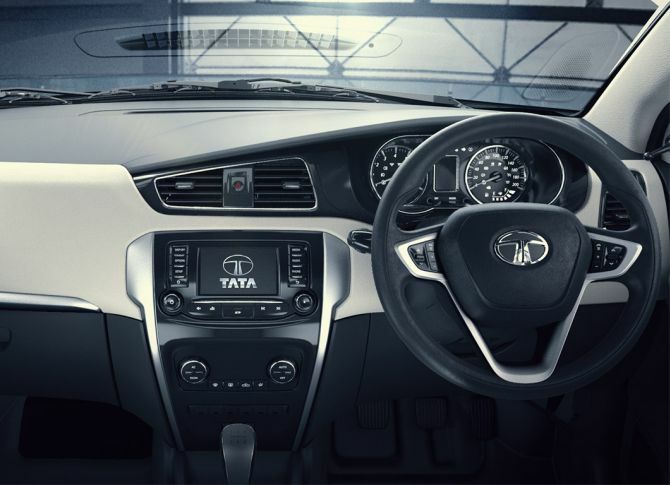 The extended equipment list including a 5-inch touchscreen based 'Harman' infotainment system, first-in-class Automated-Manual F-Tronic transmission available only with the 1.3-litre Quadrajet diesel engine. The engine pushes out 88.8bhp (90PS) of max power at 4000rpm and a peak torque of 200Nm in the range of 1750 to 3000 rpm. Another feature added in Zest is for the first time is multi-mode engine drives, Sports, ECO and City modes. 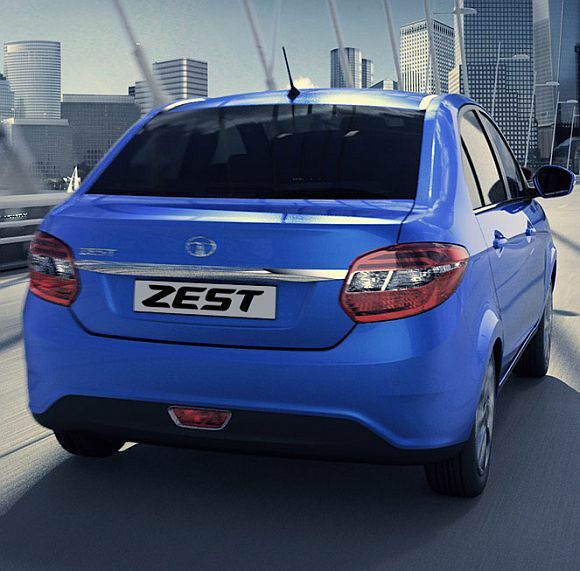 Zest will compete with Maruti DZire, Hyundai Xcent and Honda Amaze in the segment. 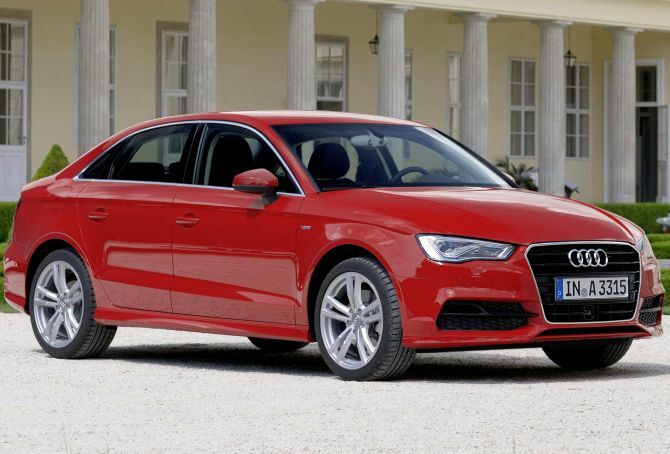 Priced around Rs 25 lakh, the Audi A3 will be the most compact and affordable luxury sedan in India. 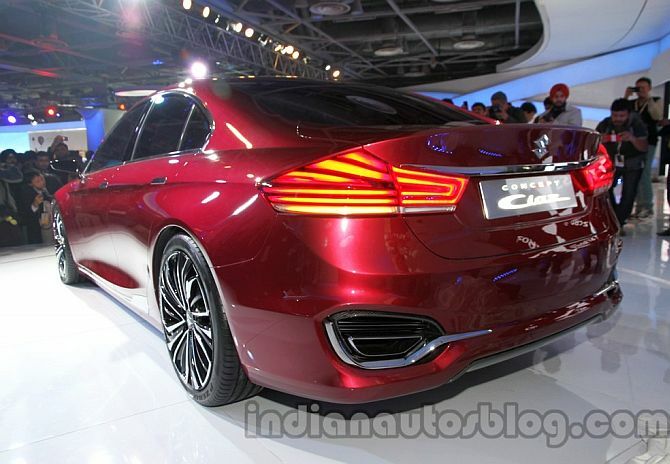 Unveiled during the 2014 Delhi Auto Expo in February, its charisma has spread all over. Needless to mention, it is all feature packed. To list a few, it features bi-xenon headlamps with day-time-running LEDs, sportier S-line body kit, retro-styled air vents and a 7-inch infotainment screen that pops out of the dashboard. It is not just a luxury car, it comes packed with lot more practicality and value that will attract Indian buyers. The car also features a dual-zone climate control, MMI touch and MMI navigation, rear view camera, panoramic sunroof and Milano leather upholstery. 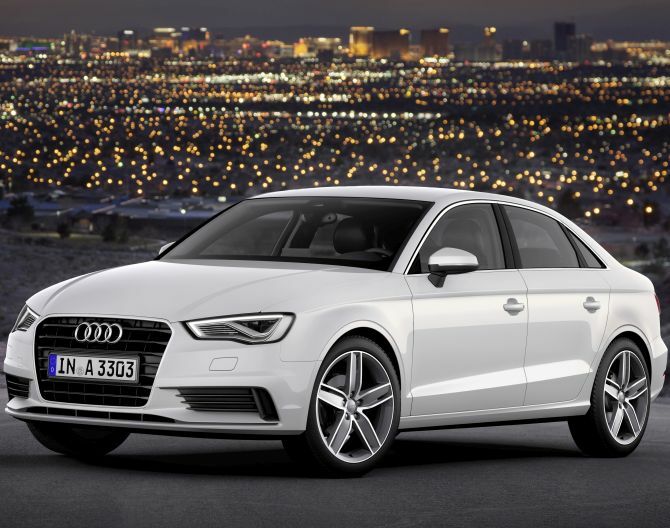 Mechanically, the car offers an option of a 1.8-litre TFSI petrol mill or a 2.0-litre TDI diesel mill. The petrol engine produces power of 177bhp and a peak torque of 250Nm while the diesel engine churns out 143bhp power and max torque of 320Nm. The engine is coupled to a six-speed dual clutch S-Tronic AT. Imminent rivals are MB A Class and BMW 1 Series, but let us wait to see exact price tag. It may also interfere with the sales of D2 segment cars like Honda Accord, Volkswagen Passat, Toyota Camry, Hyundai Sonata, Skoda Superb, etc. 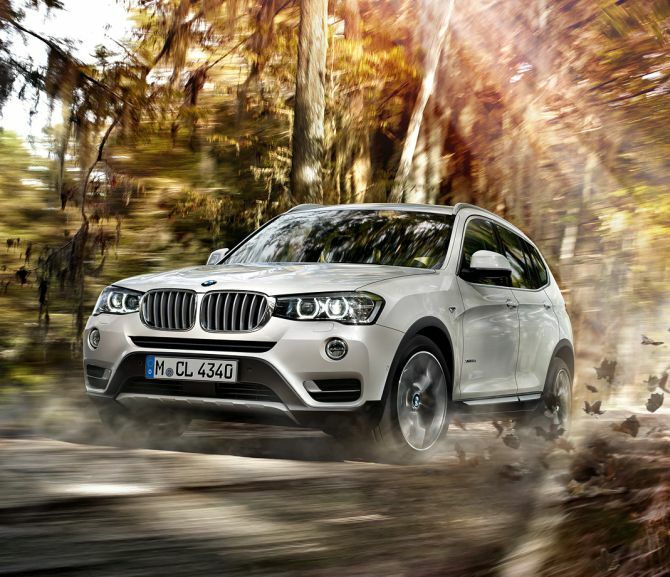 BMW too joins the bandwagon of upgrading, with its SUV X3. The facelifted BMW X3 will show resemblance with recently launched X5. In comparison to its predecessor, the X3 will now feature larger headlamps with optional LED headlights, new colors, stylish alloy wheels, more prominent front grille and some design tweaks on both the bumpers. The interiors showcase new leather upholstery, piano black center console, new cup-holders and automatic boot opener. More efficient 2.0-litre, 4-cylinder diesel engine producing producing 187bhp in xDrive mode and 147bhp in sDrive mode, drives the SUV. The engine is mated with a ZF eight-speed automatic gearbox. Expected pricing for the new BMW X3 is ranging somewhere between Rs 43-55 lakh. So it will lock horns with Audi Q5, Land Rover Freelander 2, Mercedes ML Class and Volvo XC60. Petrol or diesel: Which car should you buy?